Please join the group and add any pix you like! Just realized we started PBR 8 months ago this week! Fast creeping up on a year. Whether it’s Medici assassination attempts, or Warhol confidantes trying to trash his legacy, we continue to live in such a divisive world. It was truly a special opportunity to meet so many generous peeps in PBR and to share ideas about art & culture with you all. My Dear friend, Professor Talbot Rice is very impressed with your efforts. Now that you mention it, someone at a Boston University wrote a monograph that it was glaring that there were attempts upon the life of Queen Victoria Regina and that Sherlock Holmes was absolutely mum on the subject. Talbot has a buggieboo about historical artifacts- there’s a shoe on a statue he thinks is priceless as pieces of some historical art-what-objects-are-used-for before they become what we call ready-made. Like culture or society revolved around the manufacturing of slippers in Persia. No theories on whether the real Queen Victoria was left handed and her twin sister was righthanded and converted to Communism and then Hinduism, more that it was just her liver. I’m not in that loop. I bailed out of FB and into Diaspora. Something similar but more flexible and open source. And oh yeah, user owned so Markie Zee doesn’t have his mitts on my stuff. Do the instructors give a reason for not wanting to give the certs seems curious? I can’t really see the cert being a deal breaker in a job interview though so it seems like a little bit of a waste of energy. But people will often stand on principle before they stand on their own two feet. Agreed Hugh. It’s not worth making a fuss. Yet weird that the MOOC that asked for more work than any I’ve taken doesn’t want to pass out certs. The instructors apparently claim they never offered one, but the FB group has pointed to the promise in the syllabus. I originally liked the vision of Diaspora. But love or hate FB, it’s biggest strength is that it’s the new “Phone Book” with almost everybody in it. There aren’t a lot of peeps (that I know of) to share stuff with on Diaspora. All true. I just feel ikkey every time I use it and I have this messiah complex. If I join they will follow. So far I only know one person there. Perhaps there is an opportunity for a collaborative project there? Yes Hugh, there are SOOOO many platforms out there! For any activity you like there are numerous Proprietary, and numerous Open choices. Just to take blogging as an example, you could get an account at a proprietary site like Tumblr or Medium or Blogger, or use Open software like WordPress or Open Blog or Ghost. Or many others! It’s an obscenity of riches! Perhaps all the choice / confusion is even a piece of why so many mostly use Facebook, Twitter, YouTube and that’s it. “FTY” IS “The Internet” for many. I was shocked to hear that many people can go a whole week without ever using Google Search, since I, like so many others, use it so many times every day. It doesn’t have to be an oversimplified binary thing, but when I’m choosing which Feudal Lord to pledge my allegiance to, I choose Google. They’re still proprietary, and they definitely make choices I don’t like, but when it’s Google vs anybody else, Google’s perspective almost always suits me better than the other peeps. With FB vs G, for example, Facebook really wants to be The New AOL. They’d love it if you never left their walled garden. It’s not quite that simplistic, and they do provide lots of hooks in and out, but I still find some truth in that perspective. By contrast, Google really wants you to surf the complete Information Superhighway, they just want to be the gas station on all the on-ramps. As a blogger, the Google perspex suits me a whole lot better than the FB. Great metaphor there at the end, Van. Love this discussion! Did anybody ever get an Email? Certificate? Or any other sort of acknowledgement that you actually completed the PBR course? No. PBR just sort of faded away. Hey all! I just discovered an exciting new project, and request for artist proposals, at Michael’s neighbor LACMA! And here are the questions that I think “we” can best answer. The directions are pretty straight forward. With whoever is interested, we can split up the sections and answer them, or we — whoever is interested — could each write responses, and then we could massage the responses into a single app. Twitterification (in the best way) for academic writing. Over at the PBR MOOC, we’ve entered the final week! 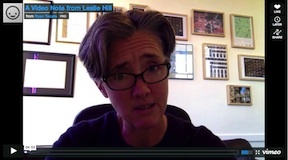 In a Vlog, Leslie Hill planted the seed for publishing some of the “findings” from this class. Great idea but I’d like to see it reflect this experience. Vanessa Blaylock said it best in a note to our team “The Internet is not a “thing” but a “place” and our experiences there are not “nouns” but “verbs.” LOVE THAT! I imagine short form essays–the twitterification (in the best way) of academic writing. Writing that is concise, concrete and contemporary to reflect the place and actions of a MOOC. What a wonderful idea Molly! It would be interesting to try to literally do it in Twitter – though I think that might be pretty hard, not sure. Creativity is a tendency, not an entity; a process, not an artifact. I’m still adopting to the ‘less is more’ style of communicating using as you put it Twitterfication. My resistance is that is results is going straight to the conclusion, with little room for analysis. This has been problematic throughout history. Think of the U.S.’s 2nd Amendment. It means two entirely different things to different people, Example: for the NRA-types, it says absolutely no regulation of guns. I read the exact same words and get an opposite impression ( the word ‘regulated’ is actually in it). To me it says we can have a National Guard. Very different conclusions. With a shortened approach, it seems there is much more chance of misunderstanding, not a good thing for scholarship. But it is more efficient, to be certain. But I’m not sure that’s what scholars should care about. But their may be no other viable choice with a MOOC. Hey Michael, I wonder if you’re comparing “one long monologue” (an academic paper) to a Single Tweet. The thing that I think critiques of Twitter sometimes don’t think too much about is that it can be a dialog between 2 or more participants. It doesn’t have to be one vague paragraph, it can have lots of detail and specificity, but instead of being in the form of a monologue or tablets coming down from the mountain, it’s in interactive dialog form. It’s a tapestry being woven live, and each participant part of the Global Loom has an impact on the evolving tapestry. You might choose a particular color or material of fiber to contribute, but you can’t know what the tapestry will be without the actual process experience of the collaborative weaving. I really like the form of interactive dialog in that they’re a key aspect of the realness I feel on The Net or in Virtual Worlds. With a monologue it’s kind of me dumping content on whatever journal or audience that’s willing to take it. Although I may not have read the journal yet, what I will eventually read there is already fixed. My reading it doesn’t really impact it. But in an online dialog, in a vaguely Heisenbergish way I suppose, my reading it becomes part of the dialog and the resulting trajectory couldn’t be obtained without the set of participants that chose to engage in it. The Net is alive. Maybe this is why I go on such tirades when peeps post PDFs. PDFs are dead. I like content on the open, interactive web. Yes, Molly & Vanessa, interactive dialogue is of course useful, perhaps even vital. But there are areas of investigations that are complex, and easy to mis-interpret without exhaustive verbiage, often coming from one voice. I suspect that we all three like both approaches, and see value, in differing contexts for both. Think of how some of the critics of Obamacare used the number of pages of the law ( over 1,000) as a criticism of it. When its length really showed a realistic approach, it showed that the multiple authors had operationally defined and then stipulated every possible contingency they could imagine ( and even so left out a few variants). The critics complained that they actually had to do some work, and read the entire thing (actually, usually its their assistants that end up reading it). But isn’t that their jobs? I think the same for scholars, not just ‘opinionators’ (who of course have their significant place and value). I don’t argue that short-form is one form of communication, but I just hope that the option of deep, structured analysis, does not become rare. Not a down ‘from the mountain” approach as you mentioned Van ( in fact those tablets constituted short-form edicts) but a full explanation of ideas or opinions, with the space to make the case in specific, detailed ways. Critiki! rubrics and the ways of the MOOC. This week in the PBR MOOC we’ve been tasked to create a rubric to evaluate our work. Framing your evaluation was a trick and a skill that I worked hard at in Grad School. I found that if you did not set up the right parameters your crit would veer off into strange unhelpful territories. In a MOOC we are faced with extreme parameters in which our work is viewed– The anonymous reviewer looking at our work digitally for a brief amount of time. How can we use these parameters to benefit our critiques? What does this experience offer us that other forms of critique do not? 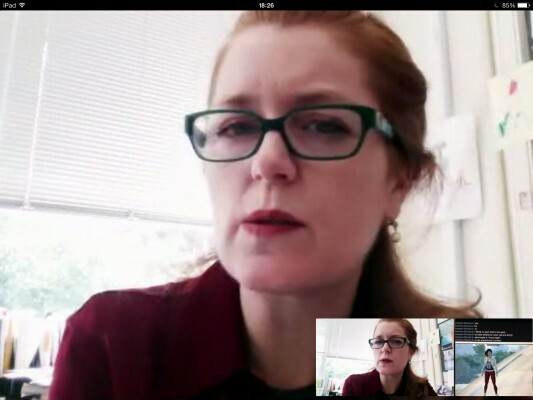 It’s always a question of how do we connect with our listeners/audiences/readers in the most clear and concrete way possible–maybe even more so within the format of the MOOC evaluation. Smart questions Molly! Maybe it’s year-end fatigue or something but we (I) havn’t totally run with the Bespoke Rubrics too much yet, but you’re absolutely right! This is a really important and valuable opportunity! It’s totally November-into-December fatigue for me. Just getting started on this now. Thanks, Van and Molly for helping orient me toward the task!